June 25-27, more than 70 patient advocates and medical students took part in this year’s NCCS 2018 Cancer Policy & Advocacy Team (CPAT) Symposium and Hill Day. 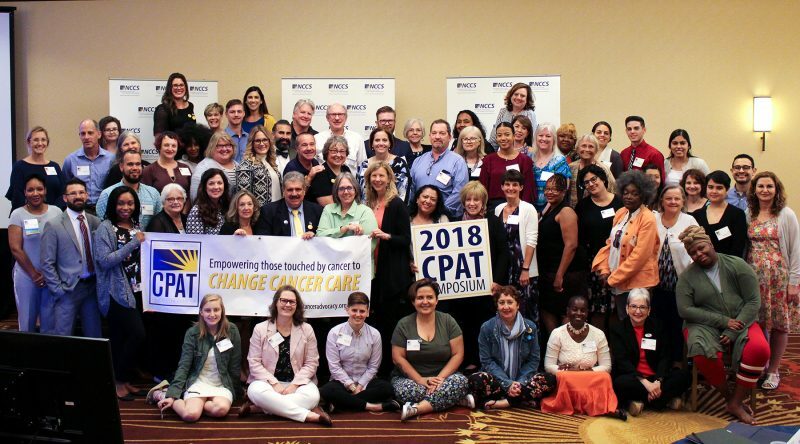 This year’s CPAT Symposium included more than 70 patient advocates and medical students from across the country who participated in two days of presentations and interactive discussions at the Crystal City Marriott. NCCS introduced live polling to this year’s symposium to get feedback from the attendees on a wide variety of questions and topics. Now for a third year, advocates were joined by medical students taking part in the Cancer in the Under-Privileged Indigent or Disadvantaged (CUPID) program, a partnership between cancer centers at Johns Hopkins University, Indiana University, and Ohio State University. Advocates and students learn so much from each other’s experiences and perspectives, reinforcing the importance of doctor-patient communication for everyone involved. 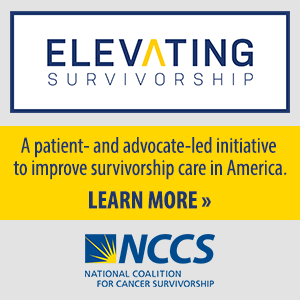 NCCS Co-Founding Member, Susie Leigh, RN, explores the origins, development, and impact of the cancer survivorship movement. Medical students from the CUPID program joined patient advocates at the CPAT Symposium for the 3rd straight year. Dr. Sherif Abdel-Misih (R) leads a workshop between CPAT advocates and CUPID med students about improving patient-doctor communication. Dr. Yousuf Zafar speaks about Financial Toxicity and how the negative financial effects of cancer treatment can be on par with physical side effects. A group of Symposium attendees from California roleplay congressional meetings to prepare for CPAT Hill Day. NCCS CEO Shelley Fuld Nasso, Elizabeth Goss, JD, and Patient Advocate Lisa Rice discuss cancer care planning. Capitol Hill staffer Zack Marshall (L), and CUPID med student Shannon Anderson (R) roleplay a meeting between an advocate and a congressional staffer. CPAT Members from North Carolina review their Hill Day meeting schedule. CPAT Steering Committee Member Jamie Ledezma (R) leads a small focus group discussion about survivorship. On the third day of the Symposium, attendees went to Capitol Hill to meet with their Members of Congress. They asked their Members to cosponsor the Cancer Care Planning and Communications (CCPC) Act, H.R. 5160, which would help incentivize more communication and delivery of cancer care plans for Medicare beneficiaries. The advocates also took the opportunity to reiterate how critical pre-existing condition protections are to their physical and financial well-being, and asked Members to ensure they are not repealed. It was a successful Hill Day, with 4 new cosponsors to the CCPC Act added that very day. The new Members include: Reps. Sanford Bishop (D-GA-2), Michael Capuano (D-MA-7), Scott Walker (D-CA-25), and Debbie Wasserman Schultz (D-FL-23), and we expect to see more cosponsors added in the coming weeks. CPAT Member Melinda Bachini with Sen. Jon Tester, Sen. Steve Daines, and Rep. Greg Gianforte of Montana. CPAT Member Melinda Bachini meets with Montana Sen. Jon Tester about advancing care planning with the CCPC Act. CUPID medical student Alyse Ragauskas (L) and CPAT Steering Committee Member Rachel Ferraris (R) in Georgia Rep. Sanford Bishop's office. Georgia Rep. Sanford Bishop listens as Alyse and Rachel share why the CCPC Act is so important. Rep. Bishop signed on as a cosponsor that day. Georgia Rep. John Lewis with CUPID student Alexander Tejeda and CPAT Member Tiah Tomlin after discussing the CCPC Act. CUPID med student Skyler Taylor (R) poses with Illinois Rep. Rodney Davis after their meeting. Rep. Davis later cosponsored the CCPC Act. House Minority Leader Nancy Pelosi opens press conference on importance of pre-existing condition protections. 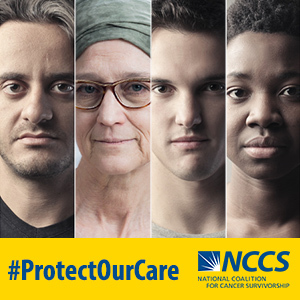 CPAT Member Jamie Ledezma calls on Congress to defend pre-existing condition protections by sharing her own powerful, personal story with cancer, as a number of NCCS advocates look on. CPAT Member Randy Broad highlights why it is critical to cancer survivors like himself that Congress defend pre-existing condition protections. CUPID student Ryan Erdwins discusses the CCPC Act with Washington Rep. Jaime Herrera Beutler. CPAT Member Florence Kurttila met with California Rep. Ami Bera to ask him to cosponsor the CCPC Act. A group of NCCS staff and CPAT advocates outside Maryland Sen. Ben Cardin's office after meeting with staff to discuss the CCPC Act. CPAT Member Melinda Bachini meets with Montana Rep. Greg Gianforte about advancing care planning with the CCPC Act.